This chicken is just bursting with flavor! Place the chicken into baking dish or plastic baggie and pour the pomegranate vinaigrette dressing over the top. *Cover with plastic wrap or seal, and marinate in the fridge overnight. Finely chop the red onion and dice the mango. While the chicken is grilling, add the BBQ sauce, chopped red onion and diced mango to small saucepan and simmer for 10 to 20 minutes. Pour over the grilled chicken. 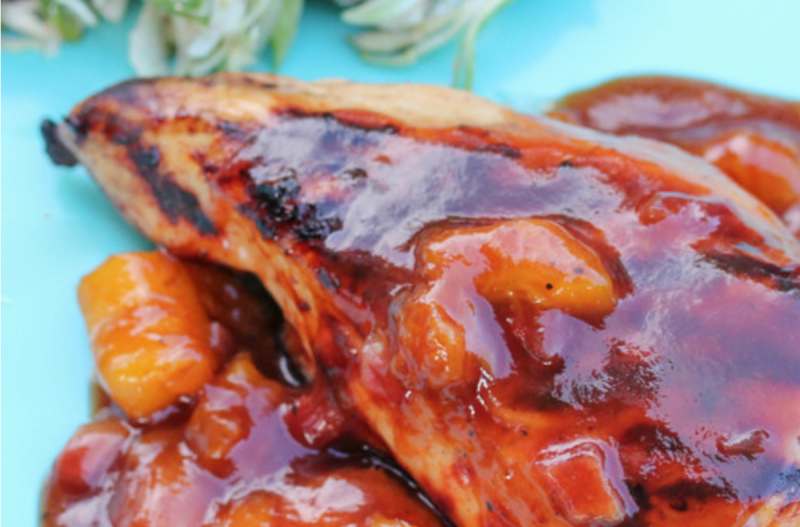 Serve Grilled Chicken with Mango BBQ sauce with garlic bread and veggies. Put baggie in the freezer and freeze up to 6 months in fridge freezer or 12 months in a deep freezer. Thaw in the fridge overnight, or a warm bowl of water for about 20 minutes, before transferring to the grill and grilling as directed and until cooked through. Make the Mango-BBQ sauce, as directed, while the chicken is grilling. If you can’t find pomegranate vinaigrette dressing, look for another sweet or fruity vinaigrette like raspberry or strawberry. Thaw and cook on grill for 4 to 5 minutes per side, and then until cooked through. After adding to the grill, brush with marinade and then discard remaining marinade. Grill garlic bread, if desired. 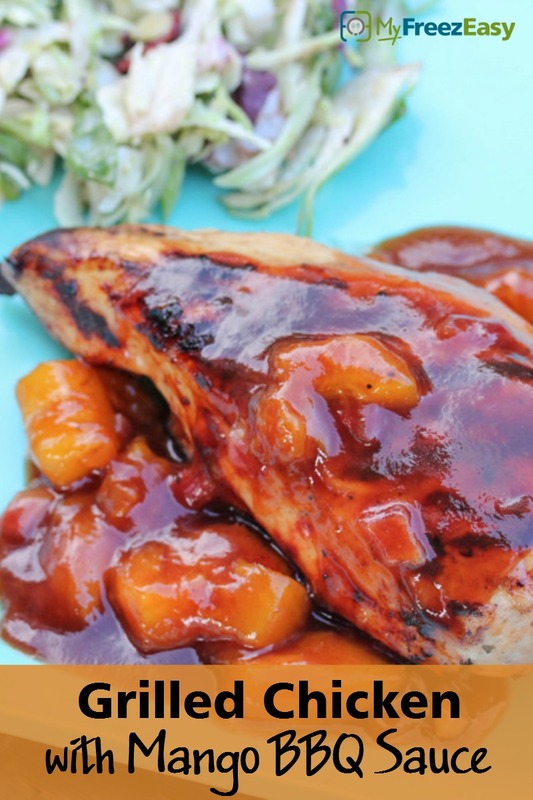 Make Mango-BBQ sauce while chicken is grilling.